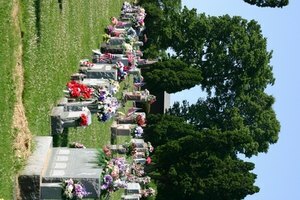 When sending flowers for a funeral you will have the opportunity to write something either in a small florist's card that accompanies the flowers or a purchased greeting card. These cards, along with the flowers, are an opportunity to express sympathy to the family or friends who have experienced the loss of someone dear to them. It is important that you use tact so as not to offend the grieved accidentally. When writing a sympathy card that arrives with flowers for a funeral, identify yourself with both a first and last name. Even if you did not know the deceased but are expressing sympathy to a friend or loved one at their loss, identify yourself since they will be receiving an abundance of correspondence at a difficult time and will not want to piece together who the flowers are from. 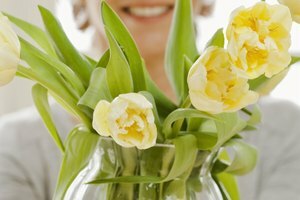 Choose flowers that are appropriate for a funeral to accompany your card. A florist can help you with this choice, but you'll generally avoid loudly colored exotic and cheerful arrangements. Traditionally, white, red and pink flowers are given. You may also want to avoid red roses since these usually indicate romantic love. 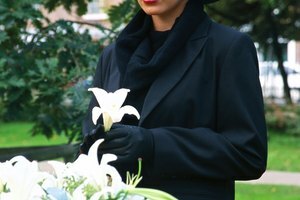 It is appropriate to express sorrow at the recipient's loss as in "I'm so sorry for your loss" or "I was very sorry to hear about your husband's passing." You might also offer to help them through this difficult time by preparing a meal, babysitting, cleaning out the deceased's items or any other task that is befitting of your relationship. 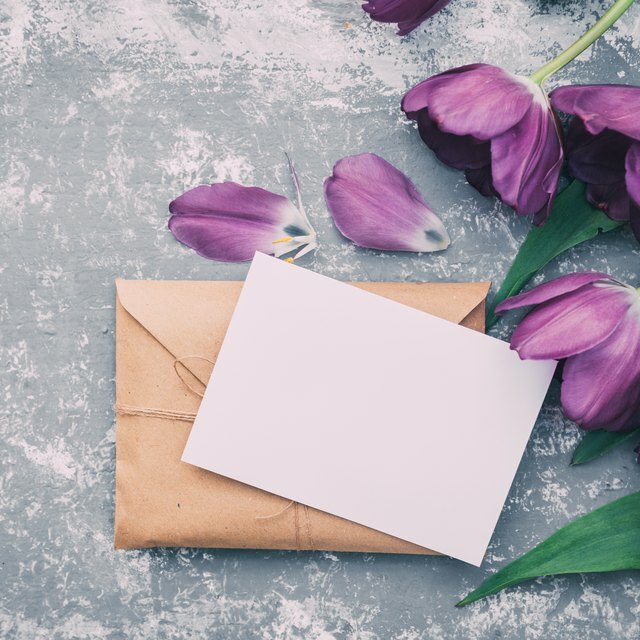 If you knew the deceased well, you might share a short memory in your sympathy card and communicate how the flowers you've sent reminds you of that memory. Remember to be brief and simple. Unless you know the recipient is religious or there was a religious ceremony for the funeral avoid religious expressions. If the ceremony or individual are religious, sentiments such as "You and your family will be in my prayers" would be appropriate. Otherwise, try the expression "in my thoughts" instead. Avoid preaching expressions and cliches in your message. Phrases such as "I know how you feel" can sound trite even if you have experienced loss yourself. Additionally, do not try to cheer up the grieved by reminding them they will "get over" this in time or suggest that the passing of their loved one was a blessing or that it was "their time.' These phrases all belittle their grief, which will not make them feel better if the card is accompanied by beautiful flowers. Hall, Frances. "What to Write on Flowers for a Funeral." 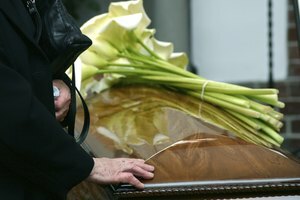 Synonym, https://classroom.synonym.com/what-to-write-on-flowers-for-a-funeral-12079859.html. 29 September 2017.